Solutions that fit your needs. It's that simple. Jennings Real Estate Services is a full service commercial real estate brokerage firm specializing in the sale and lease of commercial and industrial properties throughout Western Massachusetts and Northern Connecticut. With a proven track record of successful commercial brokerage and consulting experience, Jennings Real Estate Services has established and maintained a reputation for excellence in delivering results to a full spectrum of clients, from individual and local companies to companies of national prominence. We are a small firm with in-depth knowledge of the prospects, properties and business climate. Jennings Real Estate Services takes the time to relate to and understand our clients needs before we ever show or list a property. We work harder. It’s that commitment and dedication to obtaining results for our clients, through creative solutions, that sets Jennings Real Estate Services apart. Local market knowledge & a dedicated commitment to service, ethics and integrity have proven a successful equation to satisfying the requirements of our clients. Based in Springfield MA, Jennings Real Estate Services is a full service commercial & industrial brokerage firm specializing in the sale and lease of properties throughout Western MA and Northern CT.
Jennings Real Estate Services has years of successful brokerage and consulting experience through aligning our clients’ needs with specific knowledge based strategies. 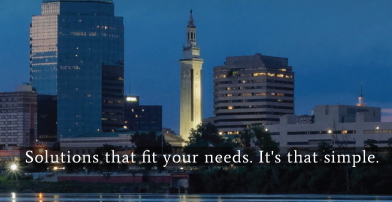 Simply put, Jennings Real Estate Service has successfully brokered millions of square feet in the Greater Springfield and Northern CT markets.